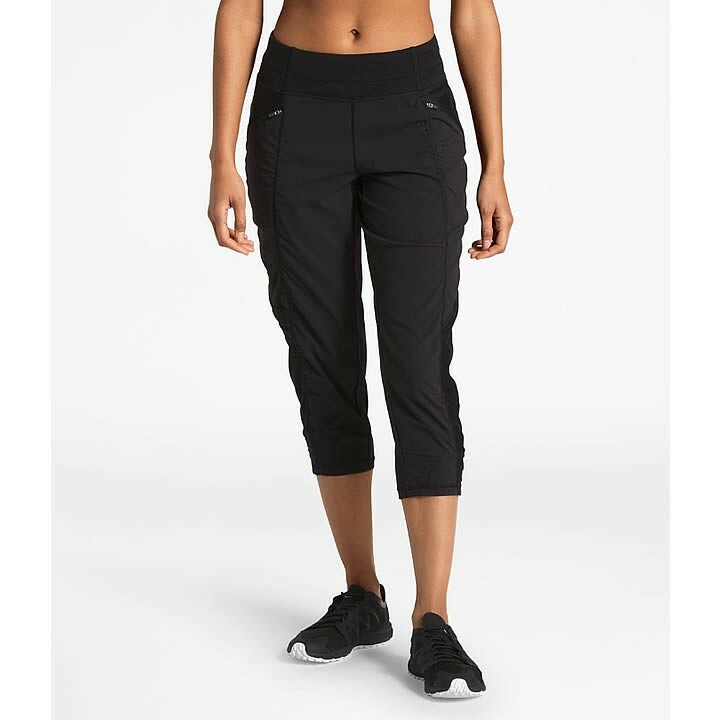 The North Face noticed you needed the right pants for getting your groove on in the studio, so they designed the perfect mid-rise crop. Introducing the women's On The Go Crop from The North Face. FlashDry™: Engineered to act like a second skin against the body, pushing moisture to the surface of the fabric and eliminating it as fast as possible, keeping the user dry, cool and comfortable during high aerobic activities.